This course provides advanced study in the areas of pharmacy practice, clinical pharmacy, pharmaceutics, medicinal chemistry, pharmacotherapy and health systems, and includes practical training. What Kind of Career Paths are there for Pharmacists? The most visible face of pharmacy is the community pharmacy. Community pharmacists are often the first point of contact for members of the community who need health advice or someone to talk to about their health concerns. This role as a primary health care provider carries a lot of responsibility as decisions need to be made about the best plan of action for your patient and whether referral to another health care professional is warranted. This responsibility requires not only sound professional judgement but also good communication skills. A pharmacist needs to be a good, empathetic listener and be able to communicate complex scenarios in a way that helps members of the general public understands their health issues and the various treatment options that may be available to them. This puts pharmacists in a position of trust and allows them to develop strong and often very long lasting professional relationships with their patients. For many pharmacists, this is one of the most rewarding aspects of their profession. There are also new roles evolving all the time for the community pharmacist that you may not be aware of. A small army of pharmacists are an integral part of the health care team in hospitals, working together with doctors, nurses, and specialists to ensure optimum care for every patient. Often pharmacists become involved in clinical trials conducted in the hospital to evaluate the worth of a new therapeutic agent, or in a hospital based research to look for new and better ways to manage patients and their medications. Hospital pharmacists may also specialise in particular area of health care (for example oncology and infectious diseases) and become expert in the pharmaceutical management of what are often very difficult and complex health conditions. They also need to be excellent communicators, not only in their interactions with the patients on the wards, but also in their role as a member of an inter-professional health care team. These pharmacists work in general practice alongside general practitioners to review a patient's medications to optimise their therapy - this may occur in the home or at aged care and special needs facilities. All too often a patient becomes ill because their medications are not being taken correctly and this leads to a significant number of hospital admissions. Pharmacists have a role in preventing these unnecessary and unfortunate occurrences and in improving health outcomes. Many other career paths are also open to pharmacy graduates; some graduates work for pharmaceutical companies in the areas of marketing, regulatory control, clinical trial co-ordination, manufacturing, quality assurance or research in drug design and development; others become involved with government organisations or opt for a career in academia and research. With a sound scientific and clinical education, there are a wide range of options to suit individual interests and career aspirations. UWA receives funding from the Pharmacy Guild of Australia to support students undertaking rural placement during the course. Learn more about the rural pharmacy scholarship scheme. (d) a current Australian National Police Certificate, or equivalent certification, indicating no criminal convictions. The currency of a National Police Certificate is 12 months. The professional degrees of medicine, dentistry, podiatric medicine and pharmacy are offered at postgraduate level only. For application information relating to these degrees, visit our admissions page. (d) equal weighting of the GPA and interview. 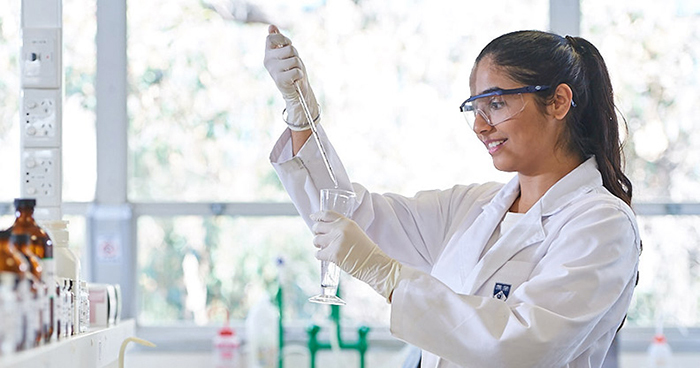 To be eligible to enrol in the Master of Pharmacy Program, you will need to have successfully completed units in either Year 12 or your undergraduate degree that fulfill our prerequisite requirements. If you have completed, or are currently undertaking, a degree at any university, including UWA, you must ensure you have successfully completed at least one unit from each of the topics listed in the prerequisite areas detailed below regardless of your major(s). These units can form part of your major or be added in as complementary, broadening or elective units. In 2018, a new curriculum was introduced for the Master of Pharmacy program and this resulted in changes to the prerequisite requirements. The new prerequisite requirements for the course have been listed below to assist you to determine your eligibility to apply. To provide further guidance, we have provided example of units at UWA which meet the prerequisite requirements at the tertiary level. These are examples only which contain the content best suited to the Master of Pharmacy. It is not essential that you complete these exact units in each topic area, as we will accept other units completed. If you are studying at another university, you will need to complete a unit with similar content. *These are examples only; you can complete other units. Before you submit your application, complete our checklist to ensure you have fulfilled the prerequisite requirements. This program provides a direct pathway to a professional postgraduate qualification in Pharmacy for registration as a pharmacist in this country. 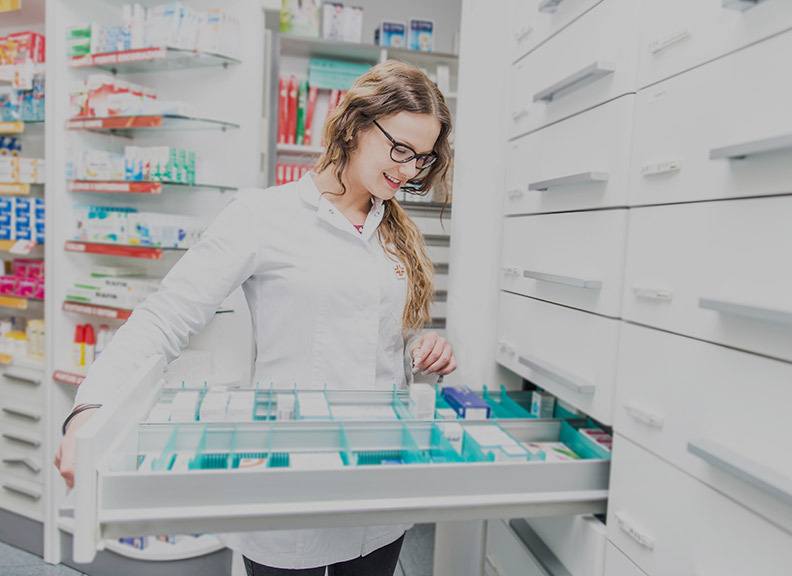 The Australian government predicts strong employment growth for pharmacists over the coming years, partly due to the expanding role of pharmacists in healthcare delivery. This master's degree course provides advanced study in the areas of pharmacy practice, clinical pharmacy, pharmaceutics, medicinal chemistry, pharmacotherapy and health systems, and includes practical training in community and hospital pharmacy. Our students benefit from a lot of one-to-one interaction with academic and professional staff, particularly in the area of Pharmacy Practice, which greatly enhances our students' professional interpersonal skills. We are also in the very fortunate position to be able to offer every student the opportunity of work place based training not only in community but also in a number of major hospitals and aged care facilities. 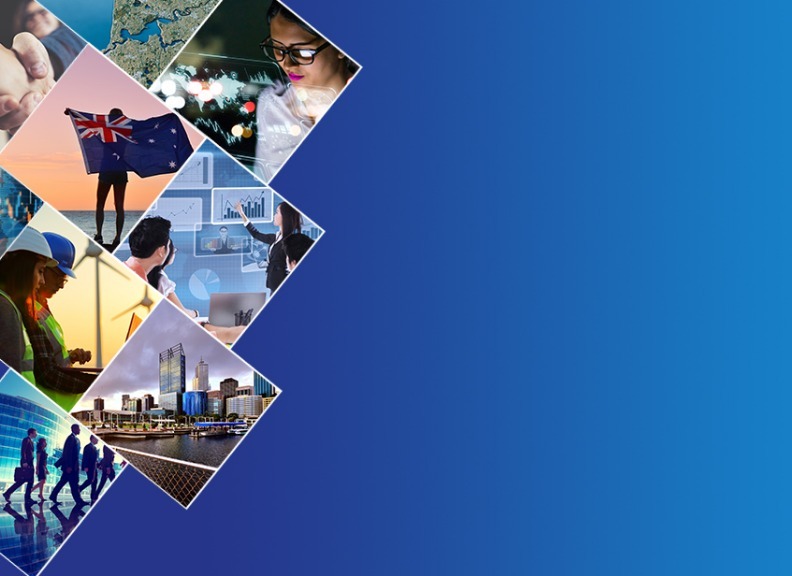 This provides students with insight into the various career pathways and exposes them to the very diverse range of health care in our society (primary, acute, women, children and aged care). For eligible students we offer alternative placements in rural Australia and International locations. The Australian government predicts strong employment growth for pharmacists over the coming years. Part of this is because of the expanding role for pharmacists in health care delivery. Please note this course begins on 28 January 2019 with an orientation day on 23 January 2019. This course works on a Trimester basis. The estimated time commitment for a standard full-time enrolment is approximately 46 hours per week (over 13 weeks) which includes contact hours, personal study and examinations. Choosing to study the Master of Pharmacy at the University of Western Australia was easy because I had enjoyed my learning experience at UWA throughout my undergraduate studies. I decided to pursue Pharmacy because I wanted to combine my passion for healthcare, science and helping people in a career that would allow me to do them all on a daily basis. The best part about the course is the support the lecturers and staff provide. 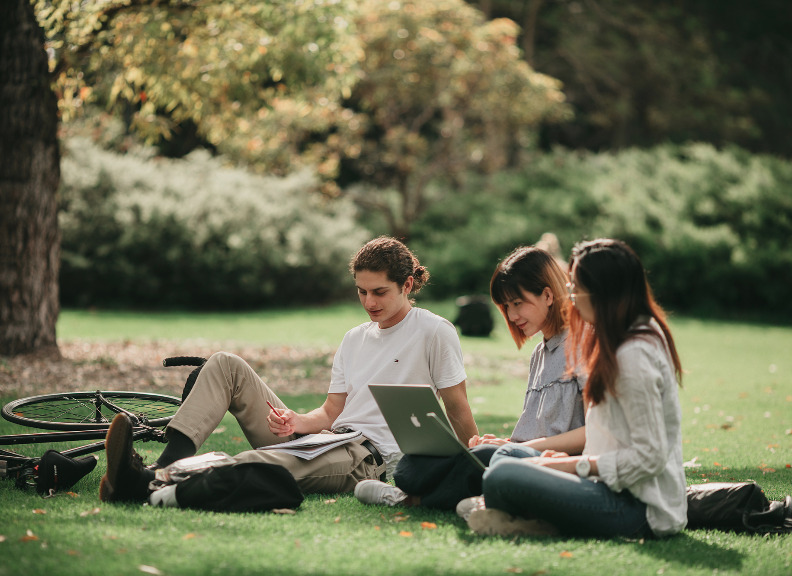 Because it’s a relatively small cohort, you become quite close to the other students, which also provides a great support system during your studies. UWA is a great place to study – there is always something to get involved with, no matter what your interests are. 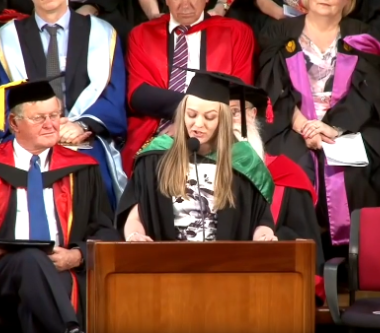 I have enjoyed and benefited from being involved with the Master of Pharmacy Society, as well as being a student ambassador representing the university. The Master of Pharmacy is fully accredited by the Australian Pharmacy Council. Graduates are eligible to register to practise as a pharmacist in Australia and New Zealand after completion of an internship in a community or hospital pharmacy. If you’re interested in this area of study, gain an advantage by choosing to complete a Direct Pathway which sees you combine your first degree with your second. 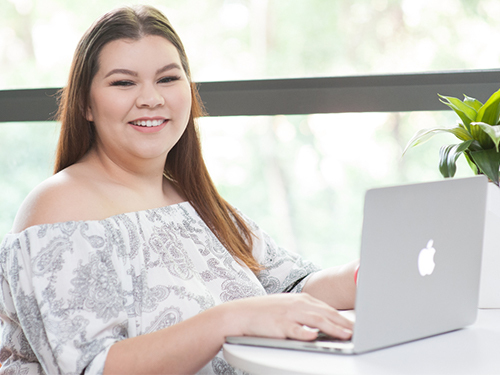 The School of Allied Health at The University of Western Australia offers pathways to a career in health and social work through postgraduate courses.